An “innocent mistake” has been rectified and the lawsuit between Ocean Ridge developer Mark Saunders and the Ocean Ridge Master Association has been settled. The amicable legal agreement means that assessment payments on exempt homes were indeed an oversight. Saunders, who manages the Ocean Ridge development, was supposed to be exempt from funding obligations when association governance was turned over to elected board members. As the amicable settlement reflects, this was overlooked and assessment payments on exempt homes were mistakenly made before being discovered. Saunders, the Ocean Ridge developer, has worked in the North Carolina real estate sector for more than 30 years and is happy to have this resolved and is looking forward to working with the association in the future. For more information, please see the copy of the settlement below. Mark Saunders, manager of the Ocean Ridge® development companies, and the Ocean Ridge Master Association, the property owners’ association for the Ocean Ridge Community, announced that they have reached an amicable settlement to resolve the litigation between them pertaining to past assessments. The issue began in 2010, when the governance of the association was turned over to board members elected by the property owners. The community’s protective covenants called for the developer to be exempt from assessments and its funding obligations ended at the time of turnover. Unfortunately, the exemption provision was apparently overlooked, and the developer paid assessments on exempt home sites for several years until the error was discovered. “We’re confident that the payment of assessments for exempt home sites was an innocent mistake – most likely a simple carryover from prior years. We are pleased that the lawsuit is resolved and extend our gratitude to the association’s board of directors for working with us to settle the issue amicably,” said Saunders. The lawsuit was filed in Superior Court of Brunswick County, NC, last year (16 CVS 2340). While the terms of the settlement, including the total sum paid, are confidential, the association did refund a portion of the assessments, and contributions also were received from insurance companies who were representing the parties involved. The association’s current and future budgets account for the developer’s recognized dues-exempt status. Ocean Ridge Plantation is a residential beach and golf club community in coastal North Carolina featuring exquisitely designed homes, four championship golf courses and world-class amenities. The moderate North Carolina coastal climate and abundance of coastal activities, including an oceanfront beach club, contribute to Ocean Ridge being a perennial award-winning community. Visit www.oceanridge.com for more information. Mark Saunders Luxury Homes welcomes a new family to the Ocean Ridge Plantation development. The Mark Saunders Homes team of building professionals recently completed this beautiful home and they are ready to begin working on your new home today. “Our home turned out so much better than we expected. We liked being able to change things during the process. We have so much more storage space than the floor plans showed thanks to Mike Cox, our Project Manager. We spend most of our time in our 4 Seasons Room that we changed from a Sun Room. We have fabulous views and watch the golfers. Exceptional Designs. Exquisite Finishes. Extraordinary Homes. Contact a Mark Saunders Luxury Homes Design and Building professional today to see our designs, plan your home, or for quality renovations. Pass through the gates of Ocean Ridge Plantation and you’ll discover coastal Carolina’s most honored community, named multiple times by Where to Retire magazine as one of the top places to retire in America. Ocean Ridge as developed by Mark Saunders, features traditional residential neighborhoods, each distinguished by characteristics and charm influenced by lush landscapes, manicured fairways, protected woodlands, tranquil lakes and miles of walking and biking trails. Developer Mark Saunders and the construction team at Mark Saunders Luxury Homes are proud to showcase The Nelson home, a premier design within the award winning golf community of Ocean Ridge Plantation. Its Chesapeake Pearl Brick exterior with perfectly proportioned columns completes the classic southern country club design. Mark Saunders Luxury Homes master craftsmen wrapped the entire 3200 square foot interior with meticulously detailed millwork and trim, and concluded with exceptional Brazilian Cherry hardwood floors throughout. The chef’s kitchen includes luxury appliances, furniture grade cabinets and granite countertops. This spacious home includes three bedrooms, 3 ½ baths, a study, a stunning formal dining room and a bonus room. The rear of the home is acclimated to take full advantage of a panoramic view of Tiger’s Eye golf course; it features a stamped concrete patio with an outdoor kitchen area and fireplace. Ocean Ridge and Mark Saunders Luxury Homes are integral parts of The Coastal Companies a leading real estate and development team in southeastern North Carolina founded by developer Mark Saunders. A unique feature of The Coastal Companies is the ability to offer a seamless turn-key experience. From choosing a vacation property or retirement home, to selecting the perfect homesite and building your dream home, to loan origination and financing, they pride themselves in offering experience, integrity, and one-of-a-kind excellence. Homes designed by developer Mark Saunders are considered to be among the very best in the South Brunswick Islands and mainland communities. With more than 30 years of experience designing and building coastal area homes, it is no wonder why over 800 families have selected Mark Saunders to develop the plans for their future residence. In addition to specializing in traditional custom home design and building, Mark Saunders Luxury Homes recently introduced two home lines for customers who wish to have a starting point. The Signature Series and the Island Series homes start with attractive, well thought out plans and are customized to fit each client’s personal taste and style. The Signature Series is a fine collection of homes by Mark Saunders developer that is ideal for communities on the mainland side of the South Brunswick Islands. Plans showcase exceptional designs for planned communities like Ocean Ridge Plantation. Highlights of this collection include enchanting arched entryways, decorative stonework, beautiful brick, expansive front porches with elegant columns, carefully placed dormers, and extended living spaces for entertaining outdoors year-round. 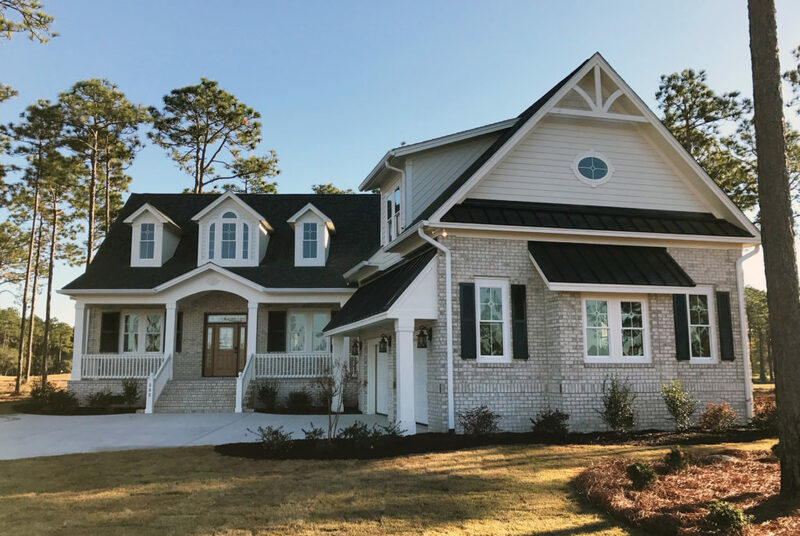 Mark Saunders developer created the Island Series specifically for those seeking coastal Carolina beach homes ideal for ocean, marsh, or waterway views. Plans showcase extraordinary designs to provide for the grandest views from the backside of the home, ample parking, covered porches and open decks, and large gathering spaces where families traditionally hang out like in the kitchen, dining, and great room areas. Mark Saunders Luxury Homes offer many inverted floor plans with the primary living areas on the upper floor to provide expansive views at a higher elevation. Mark Saunders’ Signature Series and Island Series homes start with a defined plan that transforms into a personalized home for valued clients. All designs and floor plans developed by Mark Saunders offer a substantial list of customization options, superior craftsmanship, structural integrity, architectural innovation, and attention to detail, resulting in lasting value at an affordable price. To learn more about these two impressive collection of homes by Mark Saunders developer, visit www.MarkSaundersHomes.com today. The Coastal Companies, managed by developer Mark Saunders, is comprised of business operations located near the coastal border between historic Wilmington, North Carolina and exciting Myrtle Beach, South Carolina. More than 30 years ago Mark Saunders selected this location to begin a construction company that focused on designing and building high quality beach homes. With Myrtle Beach, South Carolina nearby, he knew it would become a popular area for vacationers and retirees. Like Mark Saunders developer, those responsible for the initial development of the Myrtle Beach/Grand Strand area saw its growth potential and began developing it as a resort, building its first beach hotel in 1901. The beach strand later became home to a golf course built by the first president of the PGA of America and now there are more than 100 courses to choose from. Today, the Myrtle Beach/Grand Strand area is a golfing destination that includes four highly ranked, championship golf courses known as the Big Cats. Developer Mark Saunders is the manager for these award-winning golf courses operations that feature challenging holes for all levels. 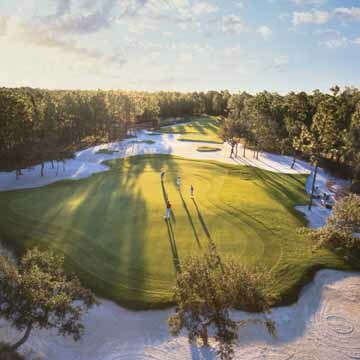 Tiger’s Eye is a 4 ½ star course that has been recognized nationally as being among Golf Digest’s “Top 100 Public Golf Courses in America” and ranked as number 3 on Golf Digest’s list of “Top 50 Courses in Myrtle Beach. Other courses managed by Mark Saunders developer include the highly acclaimed Leopard’s Chase, Lion’s Paw, and Panther’s Run. All of which are considered the crown jewels of the Ocean Ridge Plantation development. “It is an honor that regular visitors to the Myrtle Beach/Grand Strand area rave about the Big Cats course layouts, degrees of difficulty, varying elevations, and excellent customer service, rating them in the top 10 in the Myrtle Beach area.” Said Saunders. To schedule a tee time visit www.BigCatsGolf.com or call the area’s finest courses at (800)233-1801. Building a new home from the ground up is not for the weak of heart. This extensive process requires months of planning and long workdays to deliver a final product. Commissioning the building of a beautiful home is a serious, expensive decision, and you may find a logical alternative: custom renovations. North Carolina-based builder and developer Mark Saunders says such projects will always yield a one-of-a-kind, updated home that’s truly a personal haven. Best of all, it’s a smaller-scale project that won’t take many months or even years to complete. 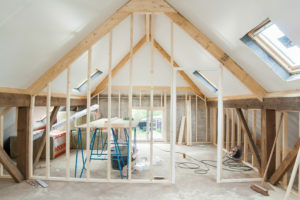 Why choose custom renovations over custom building. For starters, when working with builder and developer Mark Saunders, you’ll meet with specialists who’ll work with you to plot a course from concept to construction. In-between, all sorts of selections will be made by you, with the assistance of Mark Saunders professionals, so that your renovation yields ideal results. According to developer Mark Saunders, who has spent more than 30 years building some 800-luxury homes in southeastern North Carolina, some of the most popular restoration and renovation projects include total redesign and reconstruction of kitchens, bathrooms, porches, decks, sunrooms and patios. 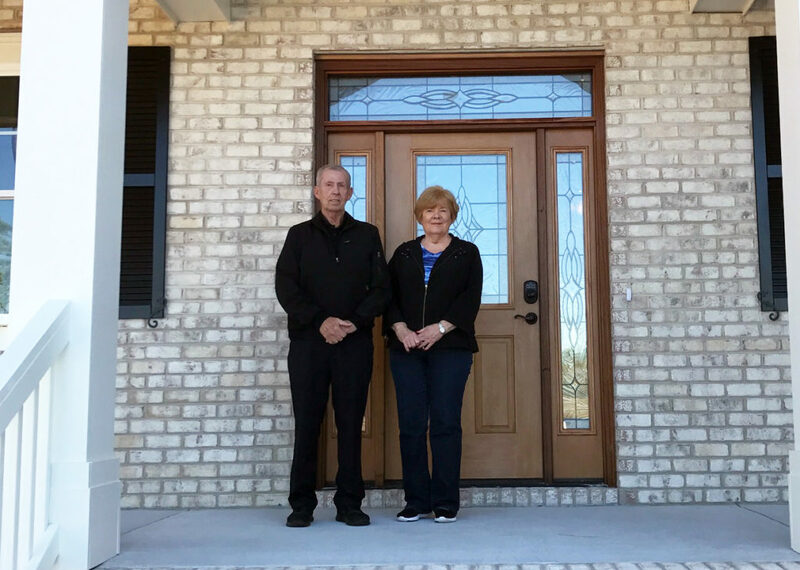 Additionally, both function and appearance are often improved by adding hurricane shutters, upgrading windows and doors, replacing siding and, as budgets and setbacks allow, even adding completely new rooms and living spaces. No matter your needs and dreams, developer Mark Saunders assures North Carolina residents that hiring his luxury homes building company will be one of the best decisions you can make. In the end, you’ll have an expertly designed and implemented renovation that is so seamless your home will look like it was originally designed and built the beautiful way it now is.